As we embark on the enlightening month of Ramadan, many mothers (including myself) often contemplate the best way to prepare ourselves so we can avoid challenges that may hinder our productivity during Ramadan. Fatigue during Ramadan can often occur during or after fasting and you may find that the tasks during the day need to be prioritized in order for you to have time to take a break and rest. How can a busy mum that has ‘busy’ kids combat fatigue during this blessed month utilize her time (and find the energy) to really focus on achieving Allah’s blessings? Do you feel that you want to earn rewards, but are too shattered at the end of the day to spend time focusing on what is really important during Ramadan? These tips may help you find energy and avoid feeling fatigue. It is important to remember why we are fasting and whom we are fasting for. With this in mind, we will derive the motivation to combat fatigue and please Allah to earn countless rewards that can be achieved during this very special month. As busy mums we tend to get preoccupied worrying about the kids, and there may be times when we do not realize that we actually do not eat our Suhoor properly. Some mothers do not even eat anything before fasting and do not realize that having the pre-dawn meal before fasting is Sunnah and is recommended by our holy Prophet . Just as breakfast is the most important meal of the day, Suhoor is there so that you have fuel and energy to get through the day while fasting. The Prophet is reported to have said – as narrated by Anas bin Malik , “Take Suhoor as there is a blessing in it” [Sahih Bukhari]. Not only are there blessings in eating the pre-dawn meal, it also helps prevent fatigue and exhaustion, and lessens feelings of thirst. If you start feeling fatigue while fasting, you may find it beneficial to renew your wudu: this can help you feel refreshed, keep focused, and utilize your time in prayer and the remembrance of Allah . Wudu not only has physical benefits, but also has a spiritually calming affect that helps drive away the feeling of fatigue. Days during Ramadan can often be hectic – with preparing iftar, suhoor, looking after the kids and the likes, it is important to slow down. Don’t try to cram everything in all at once – take a deep breath and rest for a while! This doesn’t mean that you need to sleep for hours on end, but it may be worthwhile having a nap as you will inevitably feel more tired when sleeping patterns change during Ramadan. “Fatima complained of what she suffered from the hand mill and from grinding, when she got the news that some slave girls of the booty had been brought to Allah’s Apostle. She went to him to ask for a maid-servant, but she could not find him, and told `Aisha of her need. When the Prophet came, Aisha informed him of that. The Prophet came to our house when we had gone to our beds. (On seeing the Prophet) we were going to get up, but he said, ‘Keep at your places,’ I felt the coolness of the Prophet’s feet on my chest. Then he said, ‘Shall I tell you a thing which is better than what you asked me for? When you go to your beds, say: Allahu Akbar (i.e. Allah is Greater) for 34 times, and Al hamdu Li llah (i.e. all the praises are for Allah) for 33 times, and Subhan Allah (i.e. Glorified be Allah) for 33 times. This is better for you than what you have requested’” [Sahih Bukhari]. Our holy Prophet taught us the importance of not overdoing things as well as making sure that we can perform ibadah properly and actively, if we are able to. It was narrated by Anas bin Malik : “Once the Prophet entered the masjid and saw a rope hanging in between its two pillars. He said, “What is this rope?” The people said, ‘This rope is for Zainab who, when she feels tired, holds it (to keep standing for the prayer).’ The Prophet said, ‘Don’t use it. Remove the rope. 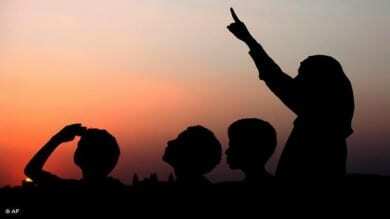 You should pray as long as you feel active, and when you get tired, sit down’” [Sahih Bukhari]. The Prophet said, ‘Then fast like the fasting of David who used to fast on alternate days and would never flee from the battle field, on meeting the enemy’” [Sahih Bukhari]. Drawing from the guidance our Holy Prophet has given us about tiredness during fasting, we can see that there are many ways which we can combat fatigue and regain energy to complete our tasks during the day efficiently, and with motivation. May Allah make it easy for all mothers and families during this blessed month of Ramadan – I hope that these tips will be beneficial in making this Ramadan a truly productive one.